and created more than 3,400 full-time equivalent jobs. and that’s why, as a nonprofit, we rely on your generous support. By becoming a member, a sponsor or simply making a contribution, you are helping grow the film and media industry in our own backyard! 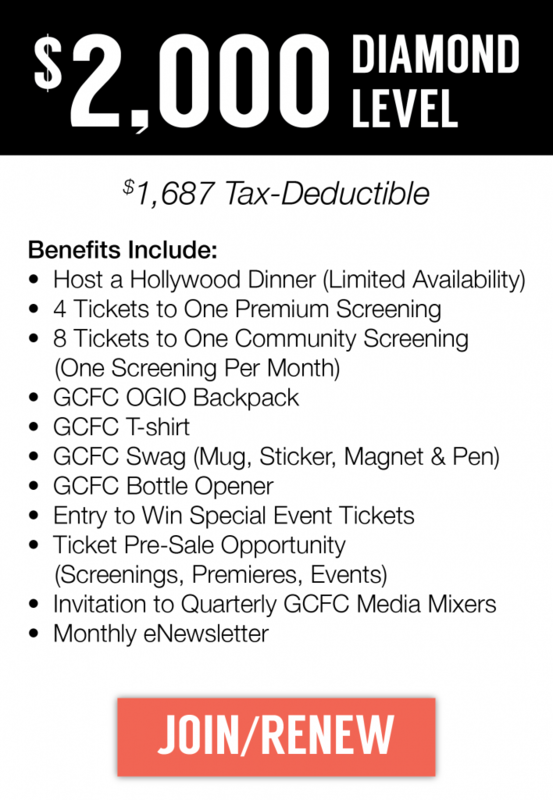 Only GCFC Members get early access to special event tickets, giveaways and more.